Sports betting is a fun and exciting way of making some money, and making the sports you love even more exciting. 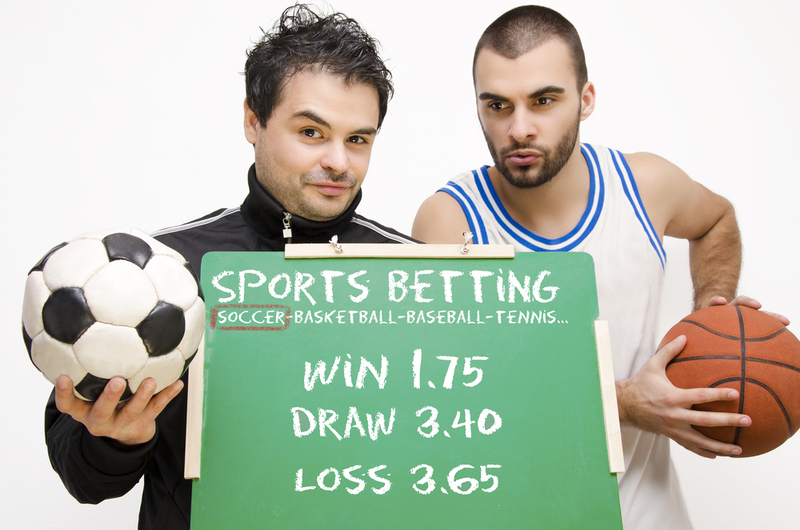 However, for some people, sports betting is more than just a hobby – it is a way to make money. There a few ways that you can make more money from betting, but the most important one is by betting well. The best way to bet well is to calculate a bet’s value. Betting based on the laws of probability makes you more likely to win than betting on gut instinct, but together the two can make you even more likely to win, and win consistently. Value betting is, simply put, trying to find the mistakes made by bookmakers. Betting companies are unlikely to make huge mistakes – widely over inflated odds for huge favourites are not common. Instead, value betting is based on the idea that bookmakers often make small mistakes with the odds they offer, and are likely to give better odds than they ought to. A value bet is, simply, a bet which you believe has greater odds than you feel it should. To succeed at value betting, you need to know as much as you can about the sport you are betting on. If you are more knowledgeable about probable outcomes than the bookmaker is, you are more likely to be able to spot where they have made mistakes in their odds. It is not easy to spot opportunities of real value. However, if you can do it frequently and consistently, then you have the chance to become a very successful better. Learn as much as you can before you bet – statistics are widely available online these days. You may have more time than the bookmaker does to decide what to bet on, so take the advantage when you feel you have it. What is a Bet’s Value? A bet’s value is when the odds displayed do not reflect the probability of an event occurring. To calculate the bet value, you need to understand a certain formula. The value of a bet is the odds times the percentage probability, divided by 100 ((odds x probability %) / 100). If the result is greater than 1.0, the bet has value. For example, if the odds displayed were 3/1 (or 4.00 in decimal odds), then the chances of the event occurring are 25%. However, if you believe (based on your knowledge and research) that there is a greater than 25% probability, for example 27% or 30%, then the value result will be greater than 1.0. If the probability is 30%, then the formula is 4 (the odds) times 30 (your idea of the probability), divided by 100. This works out at 1.2, making the bet in your estimation have value. Sports betting probability is not something that most people have time to go into detail on – so for most it is not an exact science. Sports results are not as easy to predict as flipping a coin (50% chance of either result), or rolling a dice (16.666% chance of rolling each side) – there are too many variables. However, knowing what percentage probability the bookmaker believes each result has of happening is the best way to start. In the coin toss example, there is a 50% chance of flipping to either side. This works out at 2.00 odds. If there are two bookmakers, one offering odds of 1.90 on tails, while the other is offering 2.10, which is offering value, based on the probability? If we take the first offer of 1.90, and put it through the formula (1.90 x 50) / 100, we get 0.95 – this bet does not have probability value. However, if we put the second offer of 2.10 through the formula (2.10 x 50) / 100, we get 1.05 – this bet does have probability value, and therefore is worth making. The final thing to consider is your hit rate – how often you win. If every bet you made won, you would have a hit rate of 100%. However, this is unlikely, and is not necessarily profitable. Your hit rate does not always represent a guarantee of making money. It is not the number or proportion of wins which makes you money, but rather the quality of the wins. Understanding the maths is important, but sometimes it is even more important to go with your gut. ← What are Parlay bets and when should I make them?